Earn Good Karma. Donate Your Cashback. The Akshaya Patra Foundation is a registered non-profit working nationwide to end classroom hunger amidst government school children; thereby facilitating education. 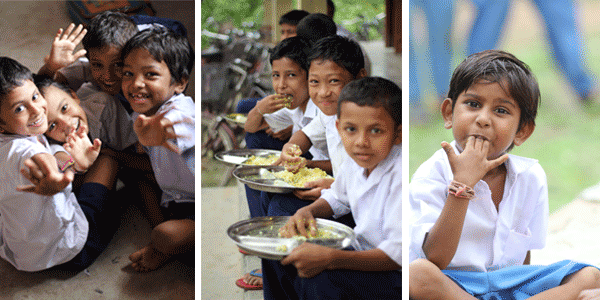 In partnership with the Central and 10 State Governments, Akshaya Patra serves freshly cooked, nutritious and unlimited meals to over 1.4 million children across the country, making it the world’s largest NGO-managed mid-day meal program. Akshaya Patra is working relentlessly to make its vision of ‘No child in India shall be deprived of education because of hunger’, a reality. You can either earn your cash back or earn the privilege/happiness/chance to educate a child for an entire year by giving them nutritious meals every day! Chose to donate your cash back to The Akshaya Patra Foundation, a non-profit that serves ‘unlimited meals for education’ to 1.4 million children across 10 states and 23 locations on all school working days. How your contribution shall help? 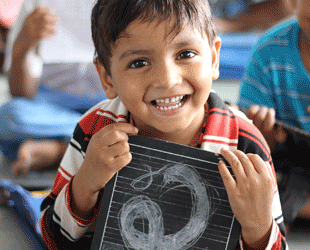 Education is the single-most opportunity to exit the poverty cycle. Yet, countless children fail to attend school because they are forced to work to make two square meals a day a reality. 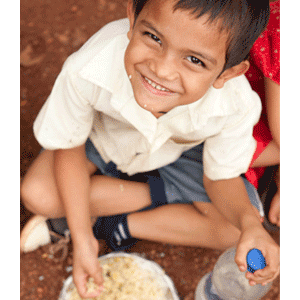 The Akshaya Patra Foundation recognizes that in order to ensure that children attend school regularly, it is important to provide them with a nutritious and tasty meal, every day. The meal guarantees regular attendance and improves children’s concentration and understanding, paving the way to a better future. Of the child as well as the country! 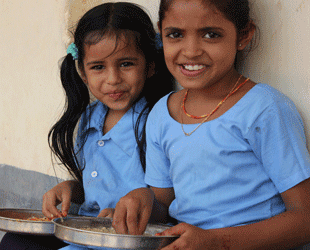 Your contribution will help Akshaya Patra expand its reach and give more children a chance to get enrolled in school!